Yoga is reportedly one of the best forms of exercise given the numerous health benefits it brings along. However, to practice yoga, you would need to take yoga classes. There are several yoga institutes cropping up across the world for this very reason. Now, most of these institutes offer certificates samples as motivation to continue your classes. 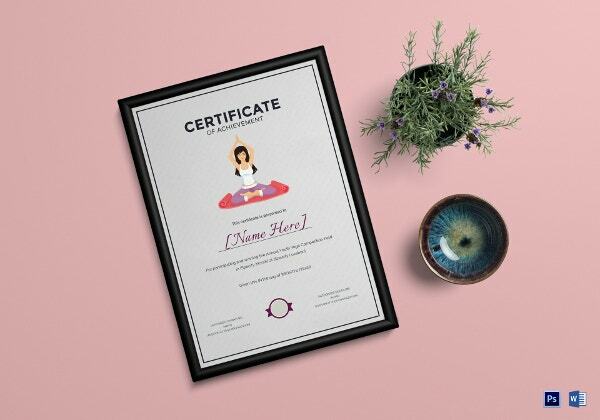 Designing such specialised yoga certificates can be tough unless of course you have professional help. In that case, you can use these Certificate Templates. 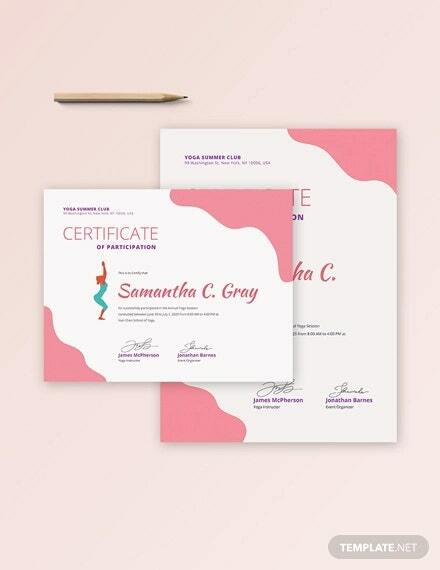 This yoga certificate template would be perfect for recognizing the effort put in by a particular student. The template has been kept formal, professional and to the point in terms of appearance. This template would be perfect to award a person who has taken part in a yoga workshop or something similar. The template comes with high-resolution images, attractive color schemes and editable text. This template comes in a standard size and in a Word or PSD format. Plus, it comes with high-resolution images and a CMYK color mode. The text and color on the template are fairly easy to edit. 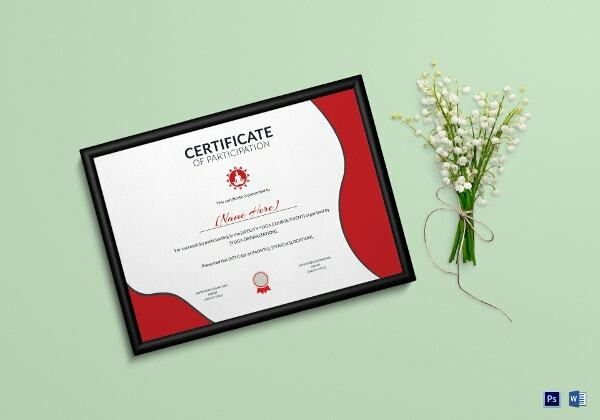 These certificate templates have been designed by professionals who know exactly what you want or need. Naturally, you will find several certificates that meet your requirements here. 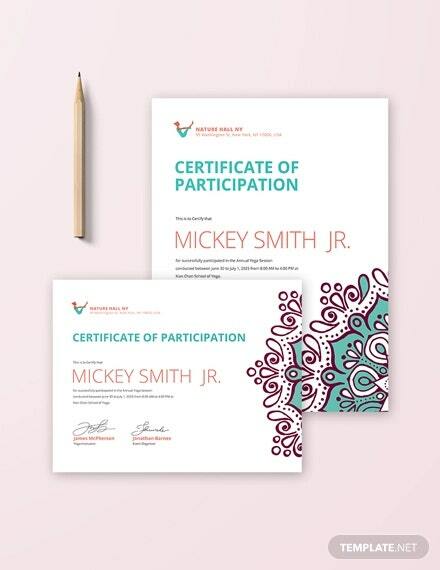 The certificates are customisable. When you download any of them, you would be getting a format that has already been laid out for you. If you aren’t satisfied with it, you can modify some of the minute details and be on your way. These certificates are reasonable. As a matter of fact, some of them are free! 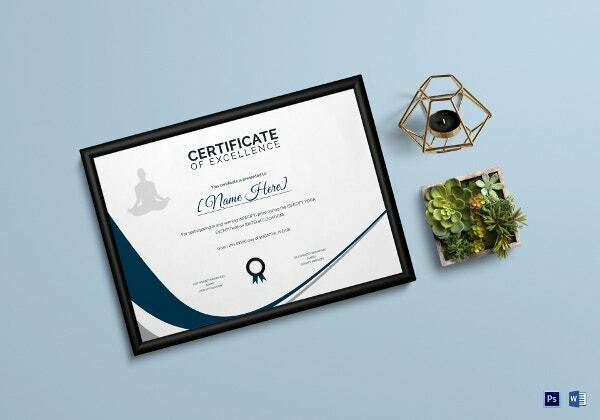 > Why should you go for the Yoga Certificates? When you’re in charge of organizing a yoga class, you’re bound to have quite a large number of students. Thus, when the course is completed, you will have to give them all a certificate. To distribute yoga certificates on a mass scale is quite a hassle unless you come up with shortcuts that can help reduce your burden. One such way is using these certificate templates. You can just download them, edit the minute details and then print them on a mass scale. 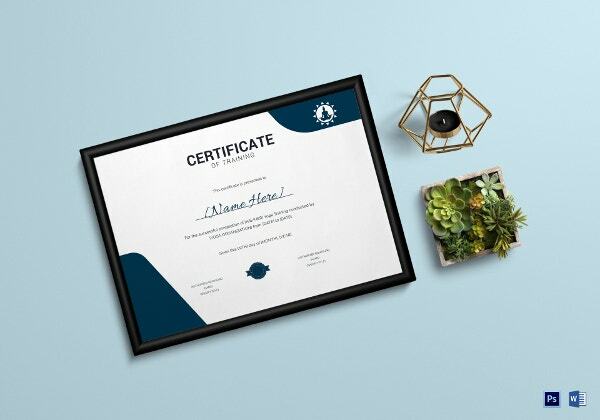 Plus, you get different categories of certificates like certificates of achievement, of completion and also of excellence. You can also see Teakwondo Certificates. 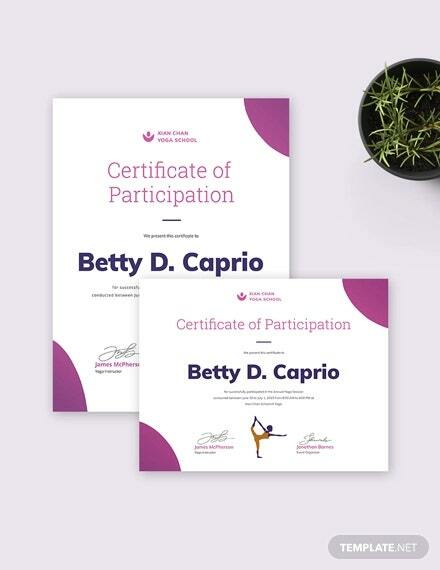 All the yoga certificates that you see above come in easy to use formats. Plus, they are professional and formal in nature. 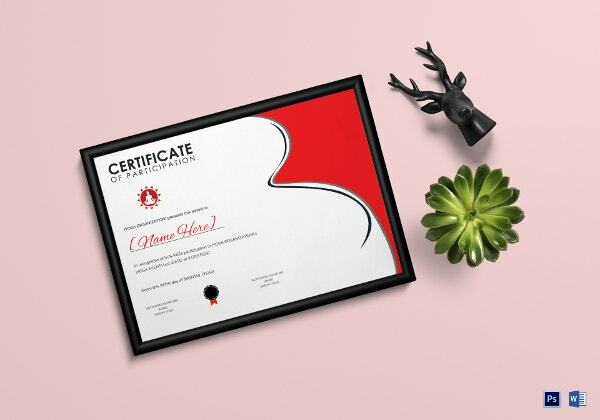 These certificates are well designed, neat, organised and handy. 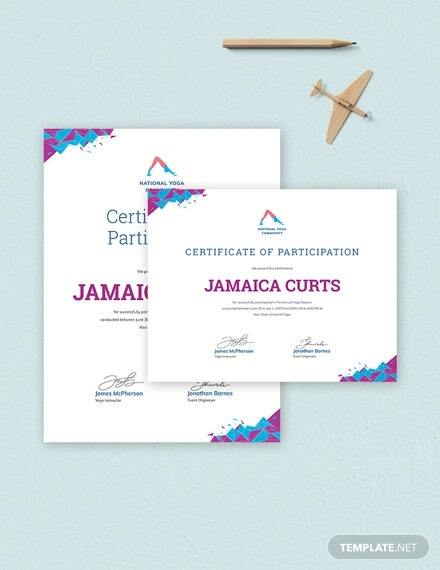 They would reduce your hassle and help you get a large number of certificates printed in a shorter period of time.